Vacation rental house. 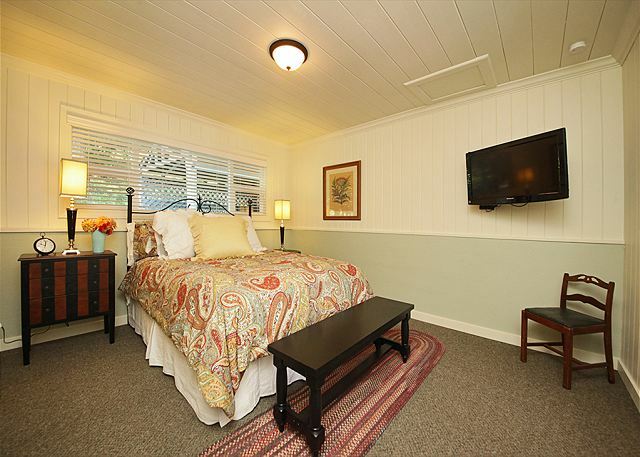 Sleeps 8, 2 bedrooms, 1.5 bathrooms. Dogs allowed. 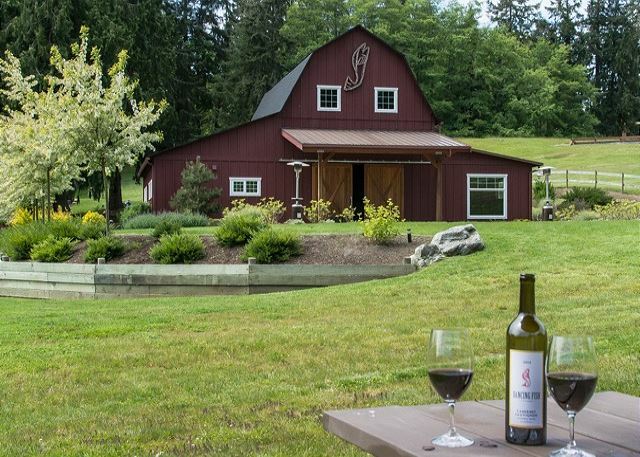 When your car turns off of historic Newman Road and in through the open gates of Dancing Fish Vineyards, you know you’ve entered a six-acre Whidbey Island paradise. The unique and luxurious amenities offered at the Vineyard House cannot be found anywhere else--you'll find yourself at your very own resort! 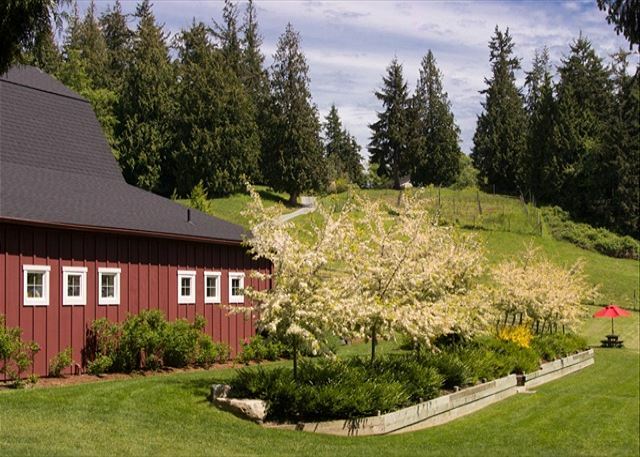 While the barn and surrounding buildings boast a seventy year old heritage on Whidbey, the entire property has been recently renovated with elaborate landscaping and extravagant furnishings. 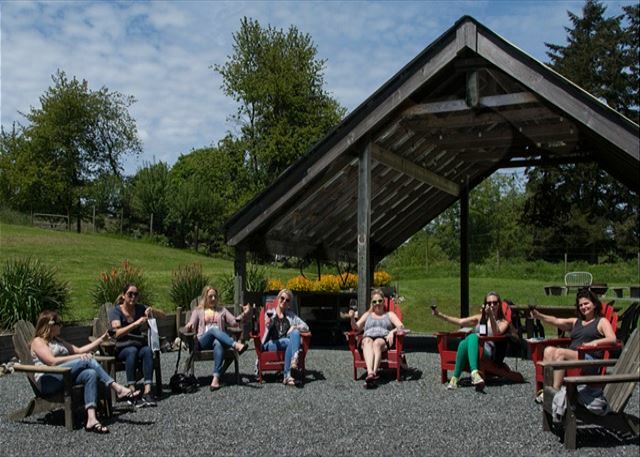 Right off of the parking area you'll find a gorgeous winery building: both the elegant wine tasting room and the barrel room are available to the public and most definitely open to our guests. 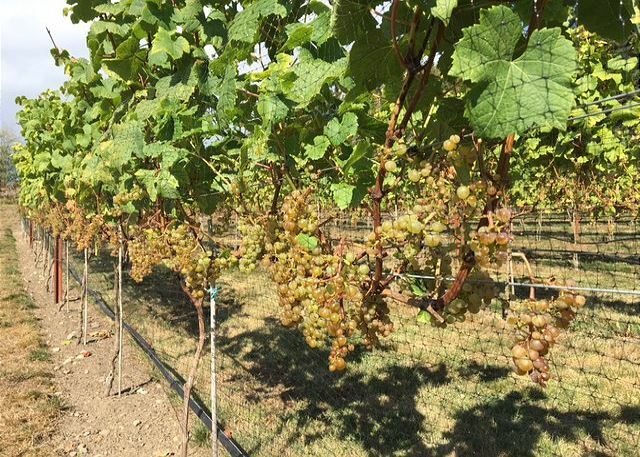 Further up the hill you'll find rows of grape vines begging for romantic strolls or evening walks. 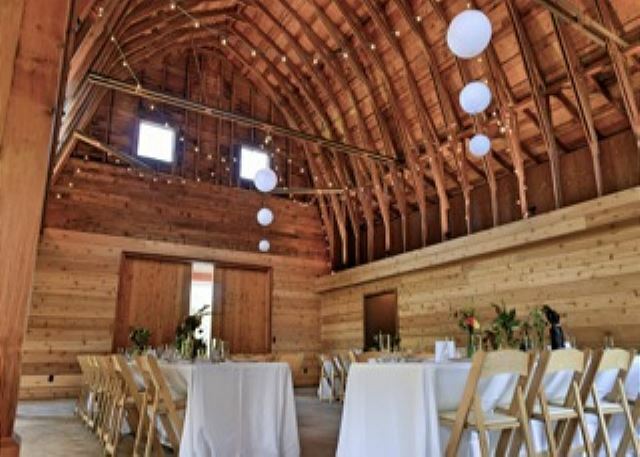 The large barn emanates a romantic atmosphere equipped with a commercial kitchen and rustic decor for an event that is magical. Above the apple orchard you’ll discover a viewing deck which features a wine bar and a view that overlooks the entire property. 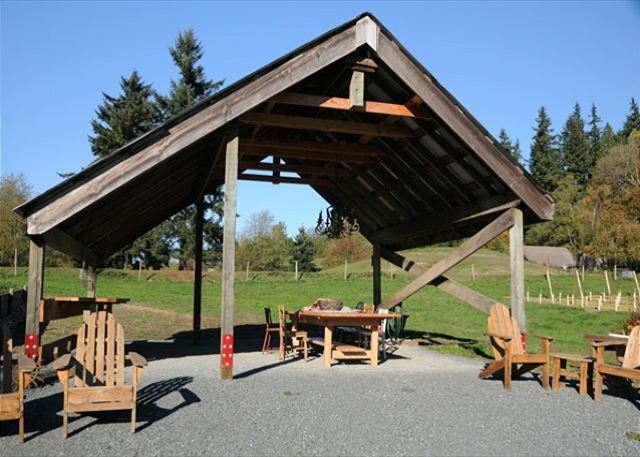 The loafing shed has been moved and restructured into a pavilion with a fire pit and bocce ball court for a fun evening out. Across the street you’ll find acres of wetlands which are always available for exploration.Island Art Glass and the Earth Sanctuary are down the street. The home itself enjoys its own private corner of the property where the privacy of our guests is always respected. 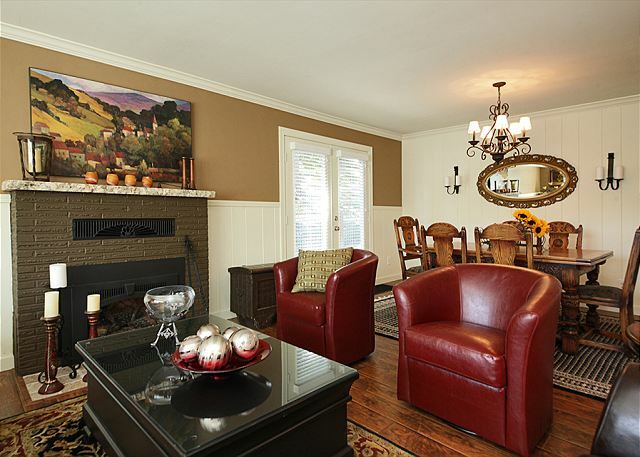 Spacious, comfortable living and family room areas with propane fireplaces provide warmth and a place to gather or retreat. 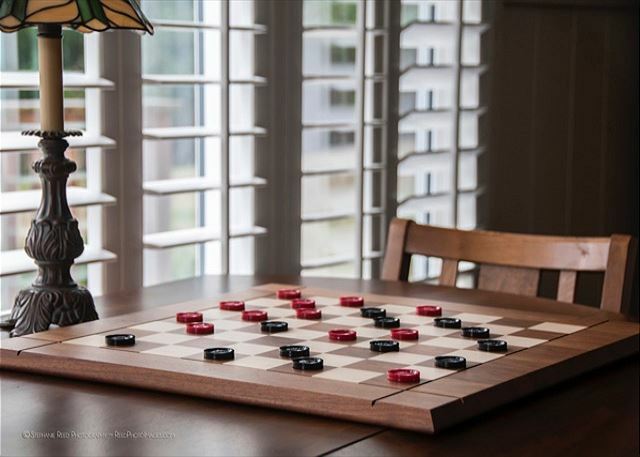 Relax in a claw-foot tub (bathrobes provided), enjoy a game of horseshoe on the courts outside of the house, or spend an evening in the gourmet kitchen with a "LaCornue" range and all the amenities to satisfy the aspiring chef in all of us. 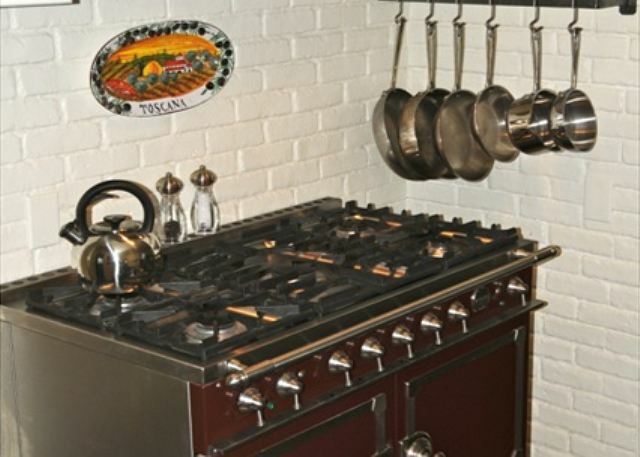 The home resonates with Italian inspired interior design and speaks to your inner artist. 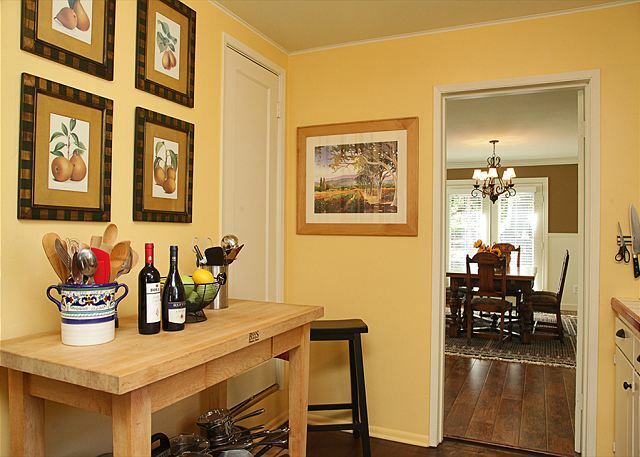 You'll also find a separate dining space next to the house perfect for a brunch or quiet evening. 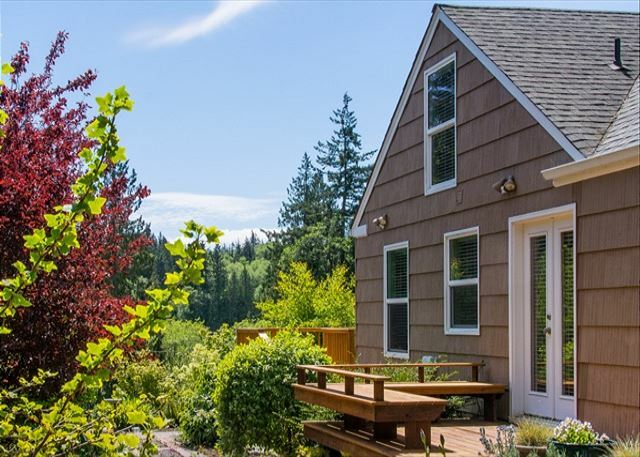 The house is within walking distance of downtown Freeland, is a five minute drive from the beautiful Double Bluff beach and is close to golf and hiking trails. 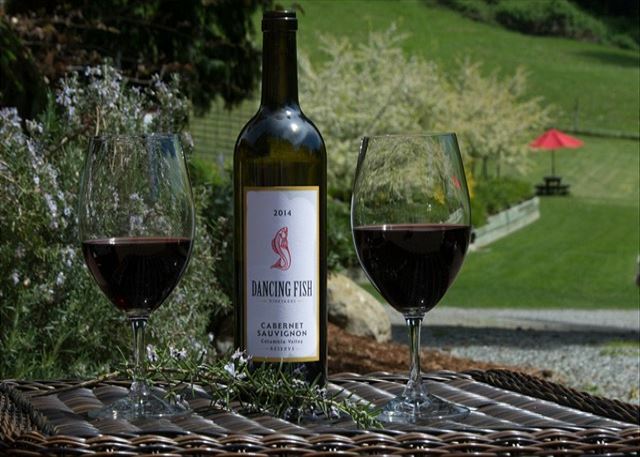 Find your extravagant escape at the Vineyard House on Dancing Fish Vineyards! 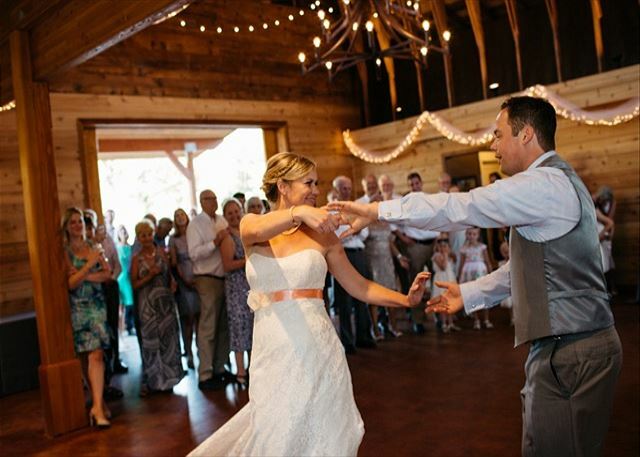 Ask us about the beautifully renovated barn for your party or event. 2 DOG MAXIMUM. 4 NIGHT MINIMUM IN JULY/AUGUST when renting the home; 2 Night Weekend Venue Minimum. The weather was lousy but we still enjoyed our stay. 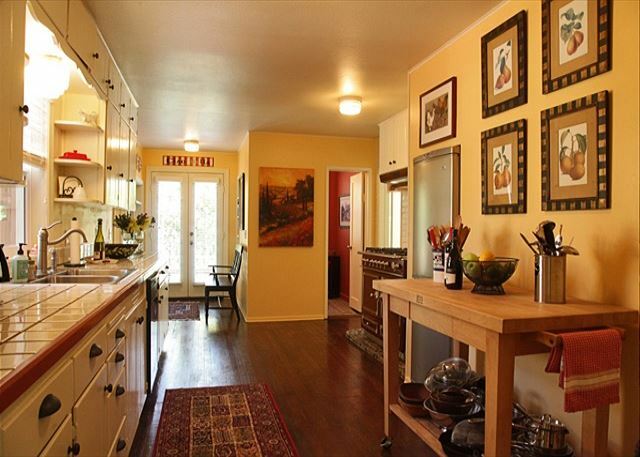 Beautiful house in excellent condition. Peaceful, quiet, beautiful. Perfect place for anyone looking for a calm & peaceful vacation or retreat. Thank you for your comments. We are so happy you had a "peaceful and pleasant stay" on Whdibey Island. we hope we can help you with your next stay on the Island. We rented the home to host a wedding rehearsal dinner. The house is amazing. Nancy and the rental property team were very accommodating. The house is beautiful and the experience was everything we had hoped for. Thanks you Nancy for making our experience memorable. Thank you for your review. We hope you had a good stay and we hope we can help you with your next stay on the island. Wonderful property in a great location. There were only two of us, so much more space than we needed. The second bedroom has a smaller bed so it may be better for children. There is a fully stocked kitchen. The winery is a plus as there was live music one of the nights we were there. Bonus for us. I would definitely stay here again. Thank you for your comments. We are happy you had an enjoyable stay on Whidbey island, we hope we can help you with your next stay on the Island. We rented this charming house for a family reunion/birthday party. It was perfect for the 8 people who stayed there-they never wanted to leave! Nancy and Brad run a tight ship and a stay in this house will always be a success with them at the helm! Thank you for your comments. 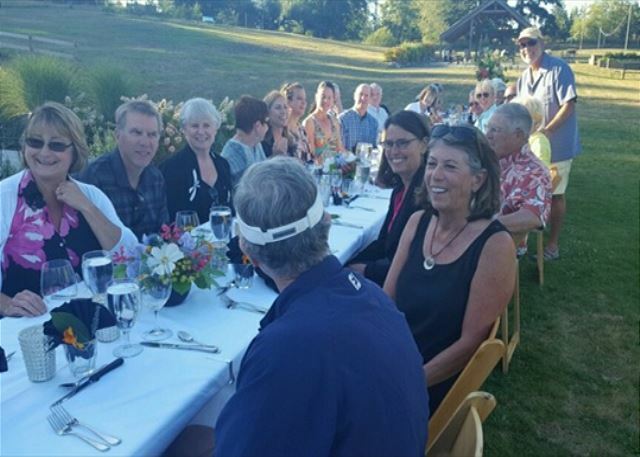 We are so happy you had an enjoyable family reunion/birthday party on Whidbey Island. We hope we can help you with your next stay on the Island. The Vineyard House is an absolutely perfect little get away spot. 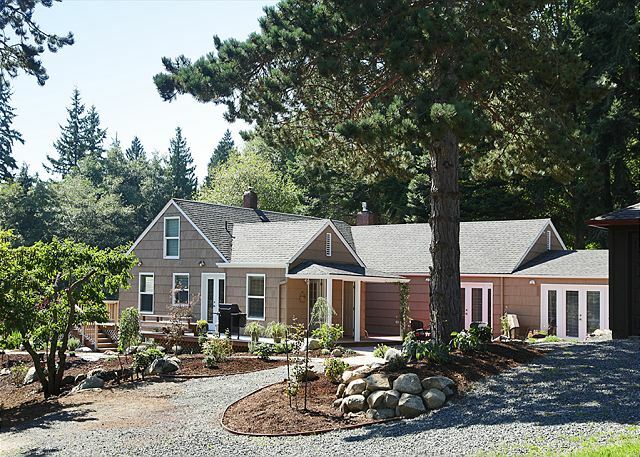 The farmhouse is beautiful, comfortable and has everything you need to feel at home. 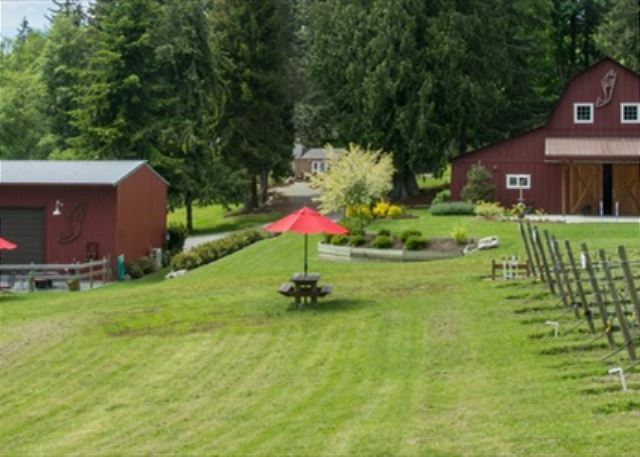 The property and the winery are incredible too and you could literally have fun without leaving the property for days. The owners were so friendly and welcoming as well. I'll definitely be making more visits!! Thank you for your comments. 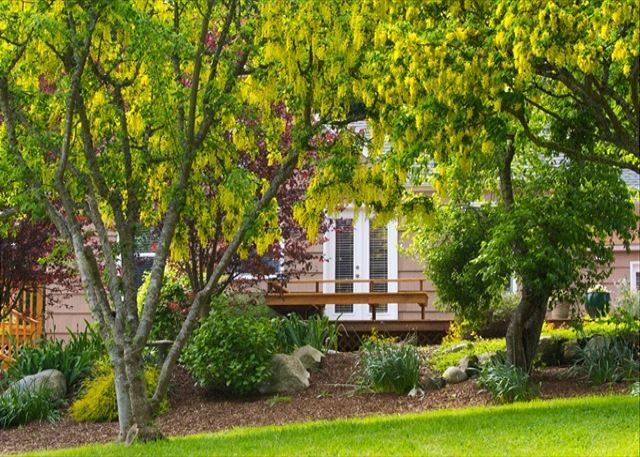 We are so happy that your stay on Whidbey Island was an "absolutely perfect". Please let us help you with your next "incredible" stay on the Island. Thank you for your comments. We are happy you had such a delightful stay on the on the Island. We hope we can help you with your future needs on Whidbey. Thank you for your comments. We are sorry your were unaware of the community event but happy that your stay was "great" We hope to help you with your future vacations on Whidbey island. Great stay at Dancing Fish!!!!!!! Great experience. Very friendly and helpful owners were at work in the nearby winery. The place is beautiful, and well-maintained. Very rural but actually a short walk to coffee kiosk, restaurants, grocery store. I would recommend this to anyone visiting the area. We're so glad that you enjoyed the location and the views! Thank you for your helpful comments. Come back soon! LOVE this house! We had the rehearsal dinner there as well as got ready there for my wedding. Convenient, clean, lovely decor, had everything we needed. I gave everything 5 starts except for cleanliness, I gave it 4 stars instead of 5 because the pillow cases in the master bedroom all had brown water stains or something on them. We're so glad you loved the house! So glad that it worked for your needs and that you found it clean and lovely. We sincerely apologize for the pillow cases, that is definitely not normal for this house. We are currently investigating what might have caused this problem. As soon as we were notified of the issue, the pillow cases were promptly replaced. We appreciate your comments and hope you'll come stay with us again soon! We are so glad you enjoyed your stay on Whidbey Island and that you visited some of our great restaurants. We rented this home along with it's venue for our wedding. It was such a wonderful convenience and the home was just so comfortable and super cute! The surrounding decks and patio make it an awesome space to entertain and we really enjoyed everything about it. We are so glad that you had a great time! Thank you for your review! Absolutely fantastic!! Booked last minute for 2 families-- it was perfect and we will be back! We're glad you enjoyed your stay! We would love to have you back :) Thank you for your review! We were fortunate to stay here for a few days last week when our other property had some maintenance issues. The property manager worked hard to find us another place at the last minute, and it was our good luck to stay here. The house is amazing and absolutely spotless! You enter the house through a "mudroom" (hate to call it that since it's sunny and cute! 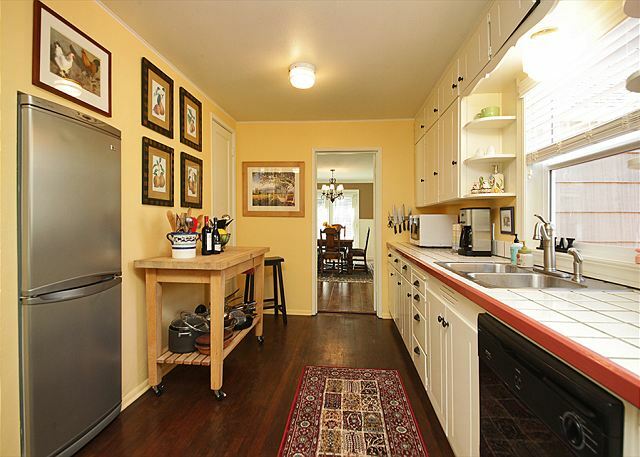 ), which opens into the kitchen, which has everything you need to cook and entertain. 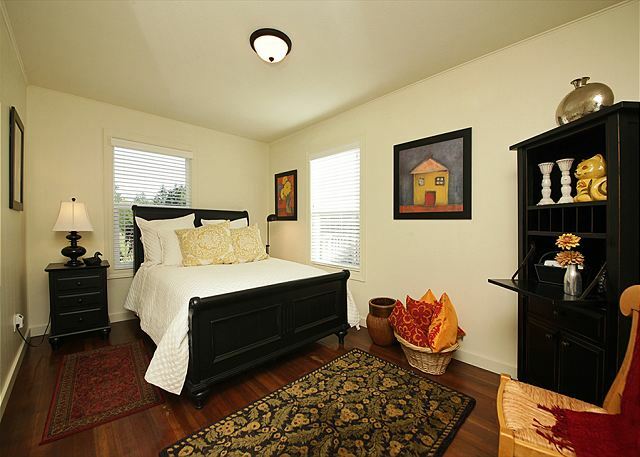 There is a guest bedroom with a queen bed just off the kitchen, along with a powder room. As you can see from the photos on their website, the place is beautifully furnished, and has a very large open living room and dining room just off the kitchen. There is also a small office/library that has a sound system with ipod/phone dock. 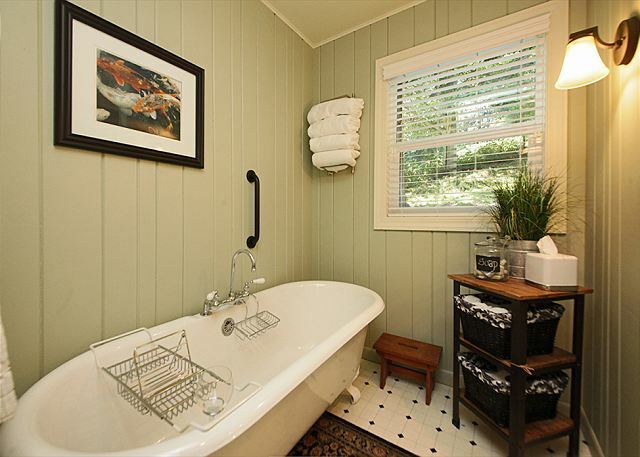 The master suite is down the hall off the dining room and has a full bath with clawfoot tub. Just past the master is a huge den with lots of seating, (including a queen sleeper sofa) tv, games, etc, and it opens to decks on both sides of the house. 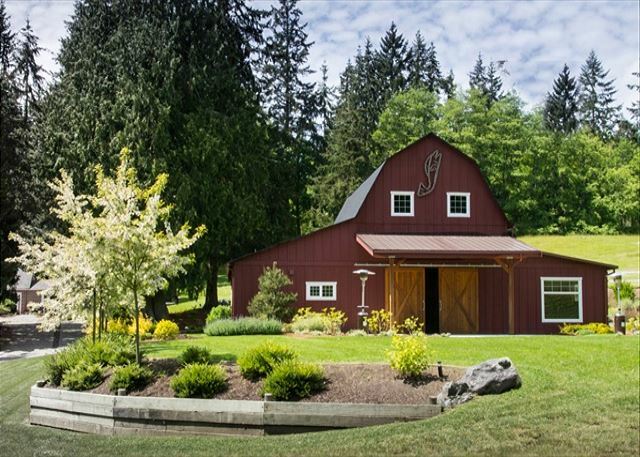 This spacious property has an event barn (you must see take a peek inside-it’s stunning!) and a vineyard. The grounds are well-maintained and so peaceful. You will find it hard to tear yourself away, especially since there are so many places to just sit and enjoy the quiet. 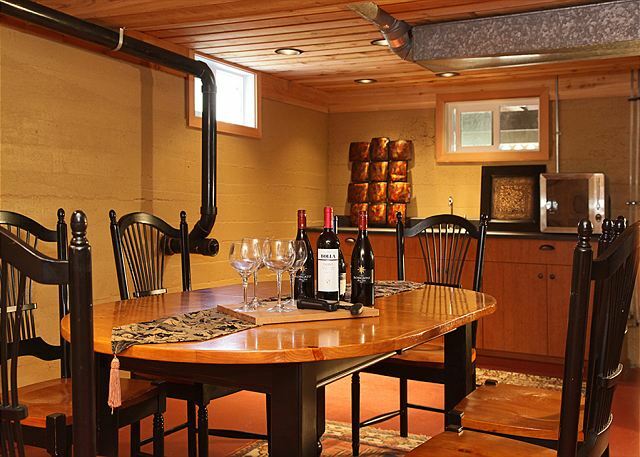 The owners have put a lot of thought into making this perfect for guests. From the plush robes to a fun selection of bath products to the gorgeous yet comfortable furnishings, they have provided everything you could want for your stay. All of the beds are super comfortable with high quality linens. My family and I had a truly delightful stay, and we highly recommend it. And definitely consider renting the barn for your next event. It’s perfect for a birthday party or other celebration. We were so lucky to be able to book both the meticulously restored and perfectly appointed farmhouse and the barn for our son's rehearsal dinner celebration in August. The venue is fully "stocked" with almost everything that one needs for any contingency. Owners Nancy and Brad on hands on and assist on multiple levels. But the entire location is done with exquisite taste and attention to detail, with a recognition that in design and all things - simple is best!! We stayed 9 nights at this farm house with 4 young children. We couldn't believe that this house was originally built more than 70 years ago. Fully equipped and everything was well managed and clean. This was a 'dream house' for us travelling from Japan! The management staff were prompt and reliable. 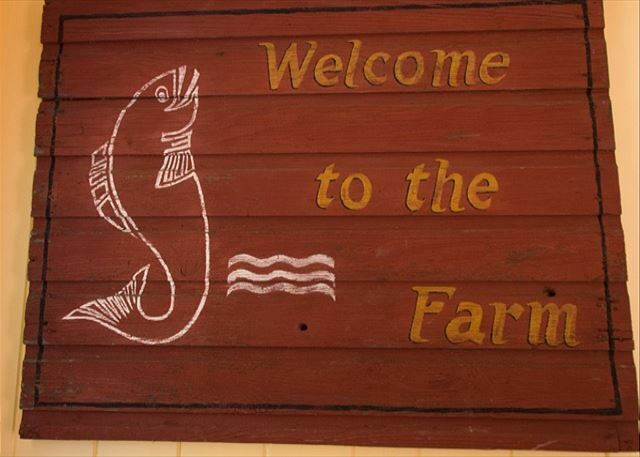 We had a great time staying at Dancing fish farm. I stayed here for my wedding and it was such a wonderful place. Beautiful setting, I love the farmhouse and its style. The barn was gorgeous and the vineyards really look amazing in the background. I had a fantastic experience here. I wish I didn't have to leave. Dancing Fish Farm is a lovely and very well equipped and very clean and well-maintained warm and cozy home and delightful property. 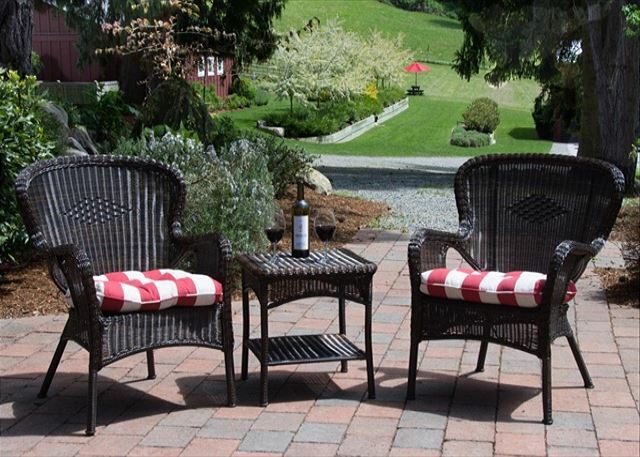 It was a perfect fit for our three-day getaway with another couple, and during our stay we enjoyed the many outdoor sitting areas with vistas of the house, the gardens, the barn and vineyards. 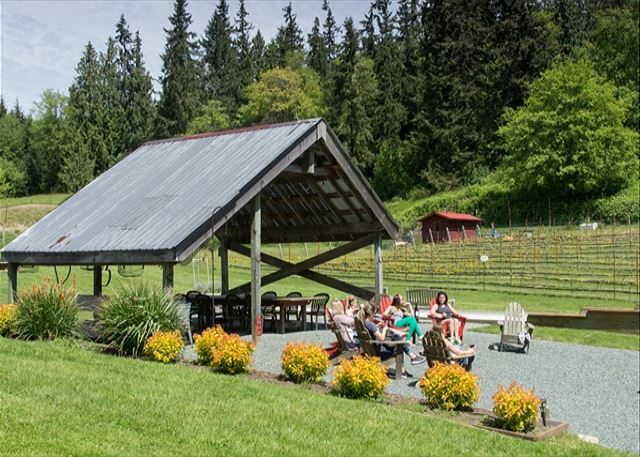 We wandered the grounds of this working-farm, visited the nearly finished wine-tasting barn and played bocce' ball at the custom-built and oyster-shell surfaced court. 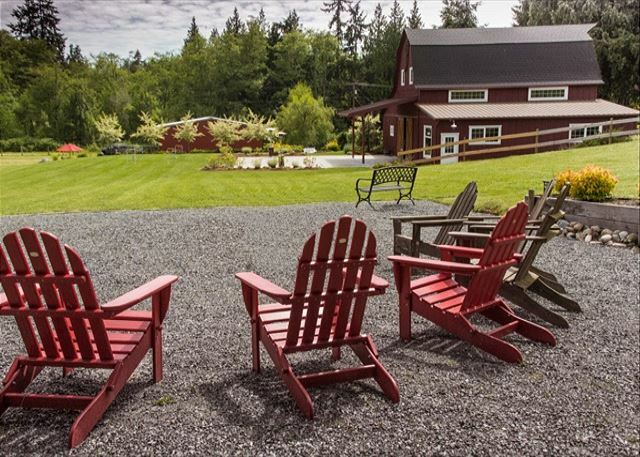 Whether using the home for a personal retreat or in conjunction with the event barn or hosting a small personal wine-tasting with friends, Dancing Fish Farm's amenities are unique and special. Owners Brad and Karen were easily reached and responsive when needed, and the folks at Tara Property Management South entity were very easy to work with. This was a wonderfully private, quiet, clean, comfortable place to stay. We were four (two parents and two adult children) and we found plenty of room to spread out. Attractions (Ebby's Trail) and accomodations (grocery story, blueberry fields, farmer's market) were minutes away. The plus to staying here versus at a beach rental - absolutely private! Plan to return. We had a great time, stayed 1week, the house is very beautiful in and out. Just like it shows on line.Lots of room to roam, Kitchen has very nice dishes and pots and pans.We met owners very helpful we suggested ceiling fans for bedrooms was a little warm and great room,other then this it was wonderful. Our family had an amazing weekend at this beautifully appointed farm. 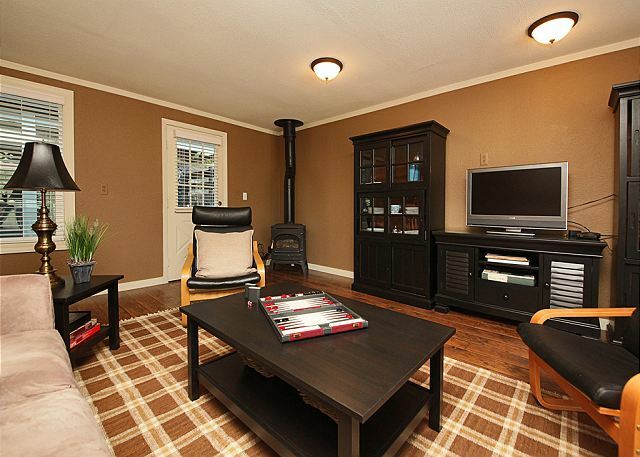 Thoroughly clean, gorgeous setting with all the amenities of home! We had a wonderful time snuggling up by the fire in this gorgeous house, a lovely property to explore and an amazing kitchen to cook up some delicious dinner in. Also so close to anything you'd want to see on the island - we spent the afternoon on Double Bluff.